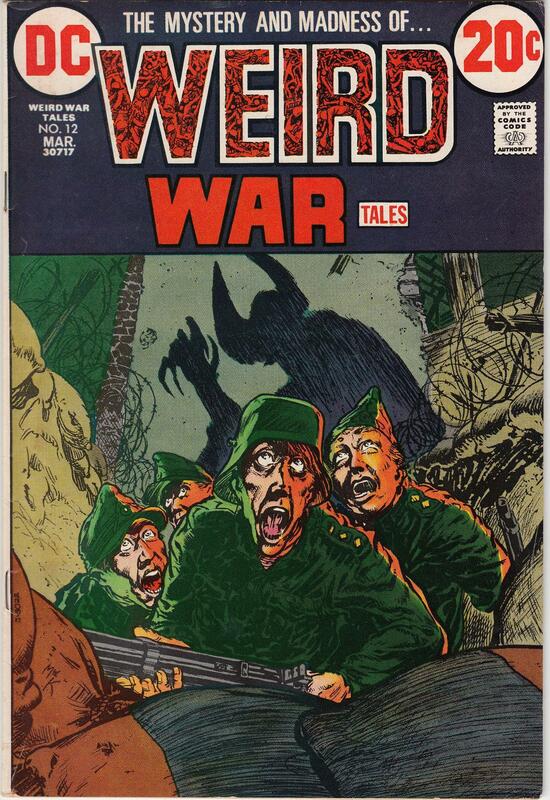 Today we pull a copy of Weird War Tales #12 from the vintage DC Comics shortbox. 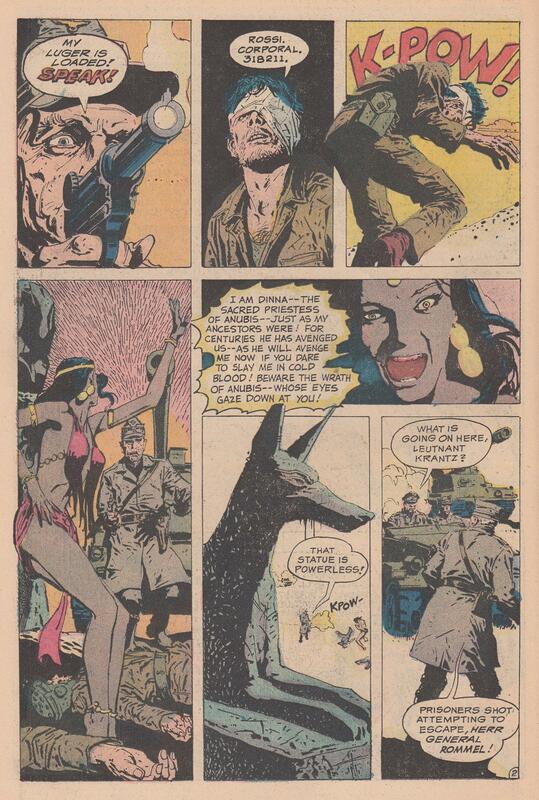 This one has some interesting art by Gerry Talaoc in a Robert Kanigher story pitting evil Nazis against ancient Egyptian spirits. 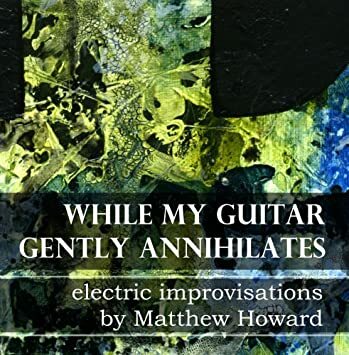 Another story has a couple truly trippy pages again with the ancient Egyptian theme. Let’s flip through this Bronze Age beauty. 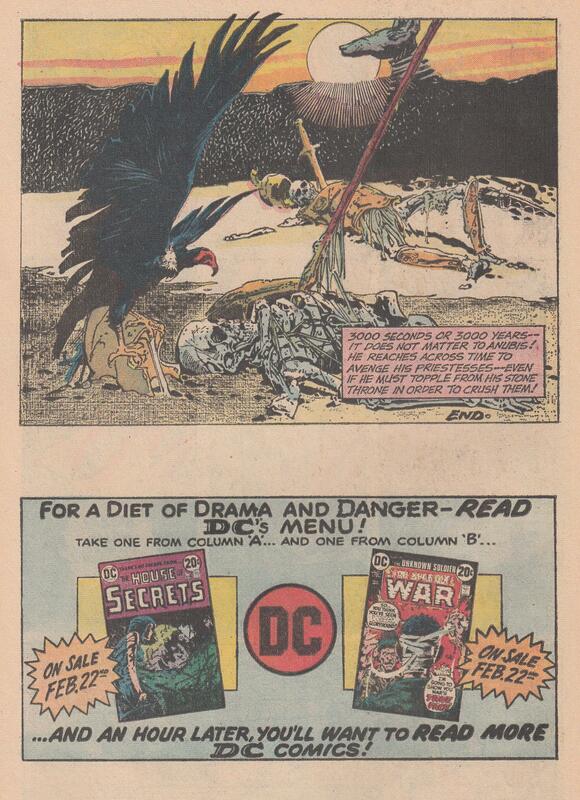 Gotta love those opening splash pages in Weird War Tales. 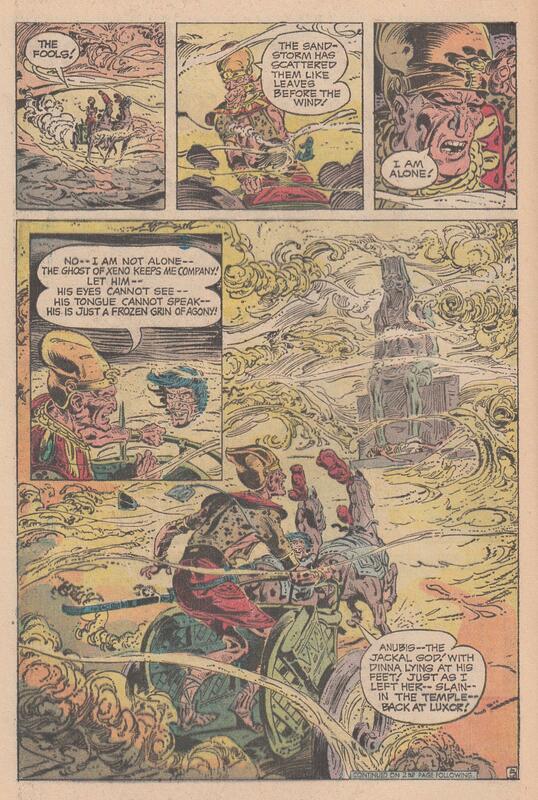 The Tony DeZuñiga page above is really the most awesome one from the opening story, and a different style than what follows from the pen of Talaoc. It suffices to say things do not go well for anyone in this particular story, and carnage rules the day. Cover art by Mike Kaluta. 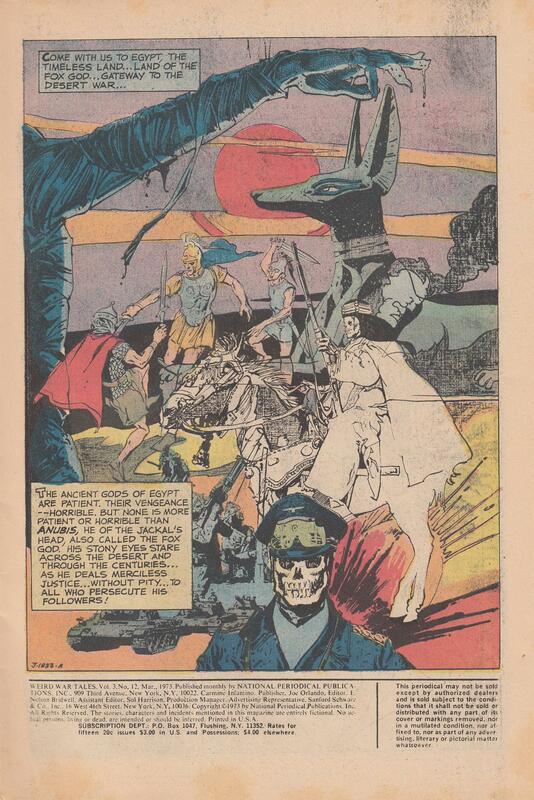 God of Vengeance script by Robert Kanigher, art by Gerry Talaoc. 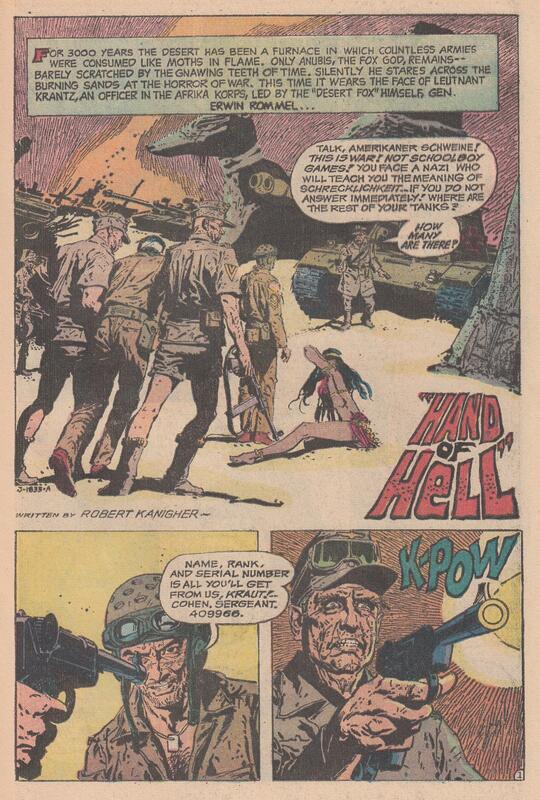 Hand of Hell script by Robert Kanigher, art by Tony DeZuñiga. 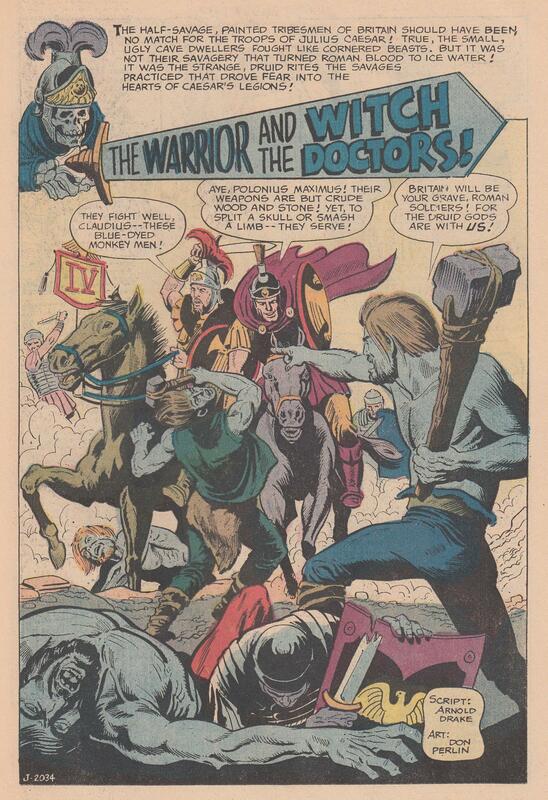 The Warrior and the Witch Doctors script by Arnold Drake, art by Don Perlin.